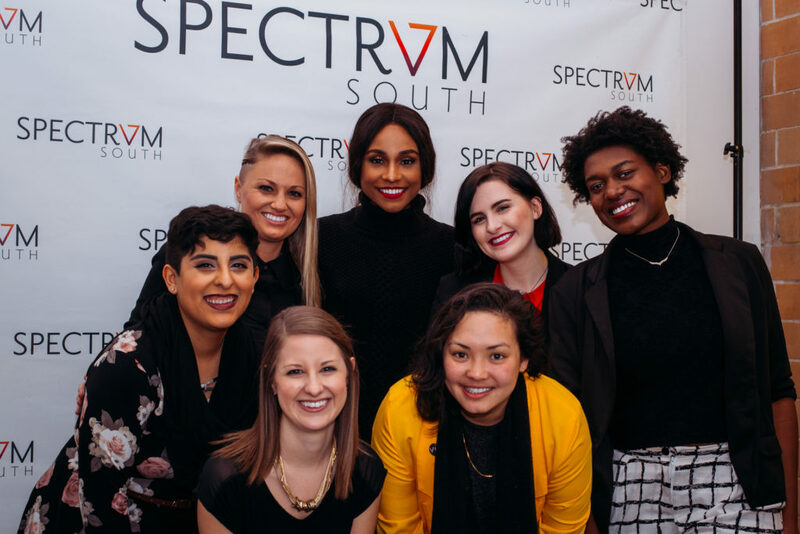 Spectrum South’s Veer Queer is a local all-inclusive podcast that focuses on centering the voices of queer and transgender people of color (QTPOC) across the South. 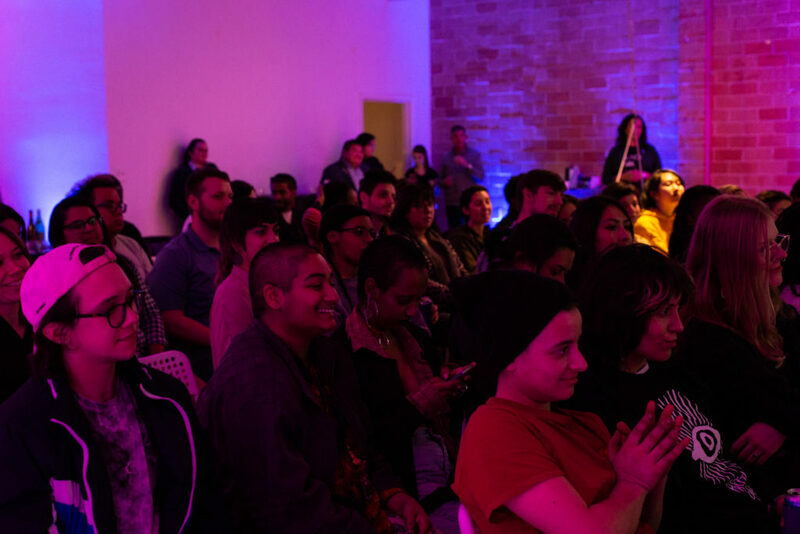 Co-hosts Julien Gomez, Mai Ha, and Endesha Haynes sit down with artists, activists, entrepreneurs, politicians, and more, to discuss local and national issues affecting our community. Episodes are released bi-monthly on spectrumsouth.com, as well as on iTunes. 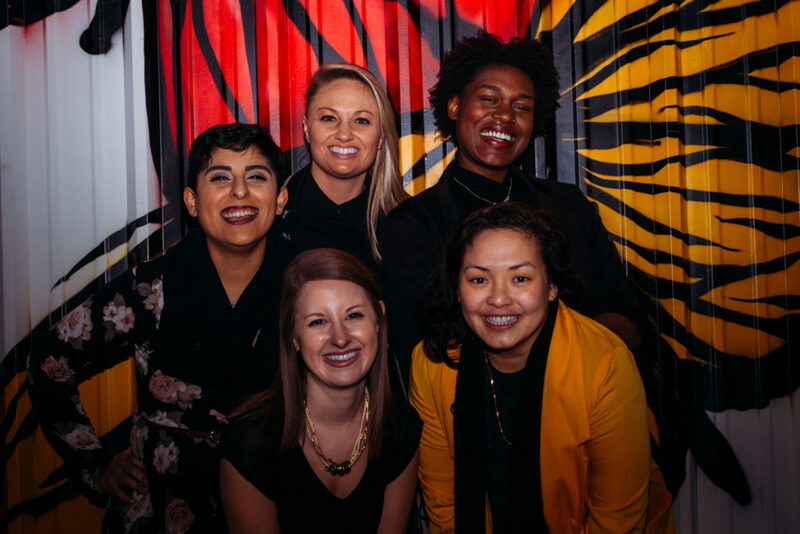 Spectrum South co-founders Kelsey Gledhill (center) and Megan Smith (bottom left) with Veer Queer co-hosts Julien Gomez (left), Mai Ha (bottom right), and Endesha Haynes (right). 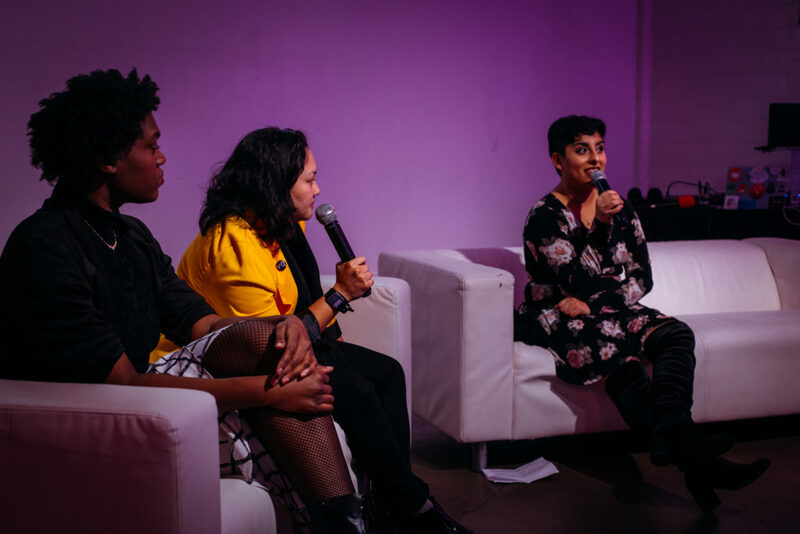 Veer Queer co-hosts Julien Gomez (right), Mai Ha (center), and Endesha Haynes (left) chat with audience members before welcoming special guest Jessica Zyrie to the stage at Spectrum South’s Veer Queer Season 4 Live Kickoff event on Thursday, January 24, 2019. Fans of Spectrum South’s Veer Queer tune in for a live interview with special guest Jessica Zyrie. Spectrum South staff and Veer Queer co-hosts pose with the special guest of Spectrum South’s Veer Queer Season 4 Live Kickoff, trans model and activist Jessica Zyrie.